ANIMATED ADVERTISEMENT AS A WAY OF PROMOTION? ANIMATED ADVERTISEMENT AS ENGAGING AND SIMPLE WAY OF PROMOTION? We know a lot of examples of explainer videos, which are designed to promote different services/products, they explain the essential features of a product, build a connection with target audience, tell about advantages and the necessity of its use, but what about animated advertisement, that we see every day on TV, for example, Coca-Cola, KFC, Red Bull and so on. Have you ever thought how many animated videos appear every day? 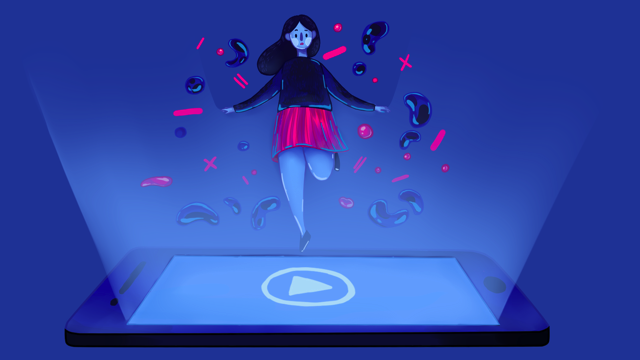 A growing interest in animated video production has its effect on ways of advertisement and we’d like to look through well-known brands and find the best examples of using animated videos. The first example, which comes to mind is a promotion company of Red Bull. This brand is famous for using animated advertisement during the whole period of its existence and we can easily recognize what is at stake just looking at the first seconds of the ad. Having heard the name of this drink, you immediately remember a series of the most well-known cartoon spots, for example, that one where two bears are trying to catch hunters that climbed the tree with the help of beaver or a zebra, which made a bag from a crocodile, who attacked her. Of course, everyone knows all these unexpected ends. It should be mentioned, that usually it’s boring to look at the same picture for many times, but a style, chosen for this ad is definitely a thoughtful marketing ploy, which has been working many years on. KFC (Kentucky Fried Chicken) – an international chain of restaurants of food services that specializes in fried chicken can also boast of having an animated ad in its brand-building. This company has a cool logo with an image of Harland David Sanders, best known as Colonel Sanders, who was a founder of KFC and became a symbol of the company. KFC has a very various marketing campaign and always tries to find new interesting ways for its presentations. It’s impossible to count all the ads this chain had since its foundation, but we found the variants we like most. The first video is a «KFC – Hand Cookin’», that tells a short story of company’s path and reveals a secret why «finger-lickin’ good» and the second is «KFC Youth Foundation», created with a purpose to help young people establish their careers. The Coca-Cola company, invented in the late 19th century continues to be one of the most popular brands up to now. Affected with American culture, every year Coca-Cola presents more and more cool ads, which delight the eye. Of course, our favorite series is «Holidays are coming», these videos are usually full of happiness and love and it’s impossible not to feel the atmosphere of holidays. Coca-Cola’s videos remind us how important to write a good script and carefully think over each detail of future video presentation. One more company, that won the trust among customers also prefers to use an animated character in its promotion. Who doesn’t know a rabbit from Duracell? These marketing tactics can’t stop to amaze us from year to year. A full of energy rabbit who trains in the gym or climbs the mountain will be forever in our mind. It’s always difficult to find an idea, that will be meaningful and work many years later, but this company definitely came up trumps and found the best model for representing its batteries and smart power systems. Being one of the top-selling beers worldwide, with its advertising campaign, Corona reminds us not to forget about rest and vacation and always find time for yourself. Just take a moment and feel free – the main message of the company. This brand understands how various visual elements attract consumers and how profitable is to make a promotion of a brand both on TV and Internet space. Having discovered a small burger restaurant in California, Ray Kroc definitely didn’t know what a breakthrough he could make. Being the world’s leading food service, McDonald’s always has a great marketing campaign. Its passion for quality and food philosophy could win the hearts of the people and earn the trust even of fussy eaters. Visa is an international corporation, that facilitates electronic funds transfers throughout the world. Usually, its advertising takes the place in a form of a standard TV commercial, but this time, following modern trends, a company decided to be a part of animated video production. We can say with confidence, that a corporation could make a good performance, explaining the platform functionality in a simple way, using splendid visuals. Maybe, the leader of animated advertising – Starbucks, have dozens of videos created for its coffee service promotion. This team usually presents visual presentations for different holidays and important events. Starbucks is not only passionate purveyors of coffee, but also activists who try to contribute to a better world.